We're constantly warned to beware of left-wing Assad "apologists," but I've yet to actually find any. Where are these mythical creatures? Michael Tracey, like most White men, assumes that he is the norm. Assad has his supporters in Syria. If it makes me an apologist to make that point, so be it. Propaganda has been what we've endured. I watch French 24 and RT -- among others. So I don't depend upon the US media. And I've seen people in Syria who were thrilled in the last weeks. So, no, I won't jump on the bandwagon that says "Evil Assad must be overthrown." A) It's not any of our business. B) It's a lie to pretend he doesn't have support. Michael Tracey is a coward. That's become obvious in recent weeks. He refused to cover the very serious Susan Rice issues of last week, for example. Monday, April 10, 2017. Chaos and violence continue, The Mosul Slog continues, Kirkuk moves closer to resolution, and much more. 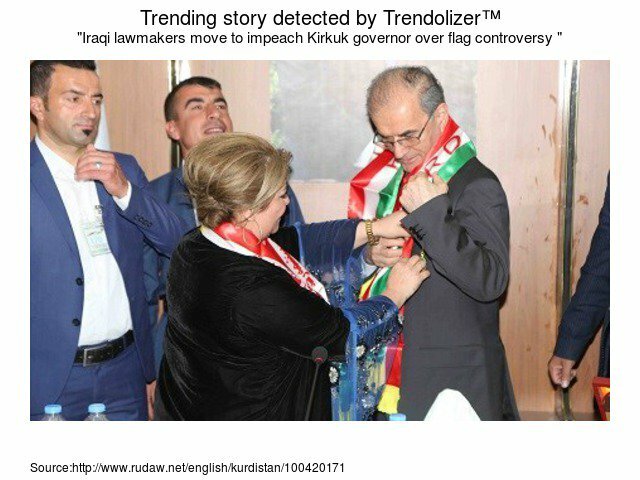 At least 100 Iraqi lawmakers have now signed a petition that calls for the parliament to impeach and possibly remove Kirkuk Governor Najmadin Karim from his post after raising the Kurdistani flag in the contested province, several MPs have told Rudaw. The move follows Karim’s polarising decision in March to hoist the Kurdistani flag at government buildings alongside the Iraqi national flag, setting off a bitter row at the multi-ethnic Provincial Council, with some Turkmen and Arab members furiously opposing the decision. The Turkmen and Arab provincial lawmakers have threatened to bring the case to the Supreme Court in Baghdad which is the highest judiciary office in Iraq and could reverse the decision. “We have so far the signatures of around 100 MPs to remove the governor,” Abdulhadi Muhan, a Shiite lawmaker from the State of the Law Coalition told Rudaw. State Of Law -- wherever there's trouble in Iraq, there's Nouri al-Maliki (he created the State of Law coalition to avoid answering to his political party Dawa). There are 328 members of Parliament. There are also rules and nothing has met the rules (read on into the article). The central-government out of Baghdad claims it as does the Kurdistan Regional Government which makes up northern Iraq. If only there was some way to resolve this issue? The responsibility placed upon the executive branch of the Iraqi Transitional Government stipulated in Article 58 of the Transitional Administrative Law shall extend and continue to the executive authority elected in accordance with this Constitution, provided that it accomplishes completely (normalization and census and concludes with a referendum in Kirkuk and other disputed territories to determine the will of their citizens), by a date not to exceed the 31st of December 2007. But the US indulged their various puppets who ignored Article 140. The US has a long, long history of backstabbing the Kurds. That is the root and start of a relationship where the US government repeatedly used and misled the Kurdish people and repeatedly lied and broke promises. It has continued all this time -- most recently with The Erbil Agreement which then-US president Barack Obama had negotiated and insisted had the full backing of the US government . . . until he decided to act like it never existed. The issues that divide Arabs, Kurds, Turkmen, and other minorities in northern Iraq mirror the nation's most complex and contentious political challenges: disputed internal boundaries (which must be settled in order to determine the territorial boundaires of the Kurdistan region), the lack of clarity regarding control over Iraq's hydrocarbons, and the need to professionalize and integrate Iraq's military and police. More locally, Arab-Kurd disputes extend to the sharing of power on local governing bodies, the ethnic composition of local police, rights to previously seized or abandoned property, the jurisidiction and condut of Kurdish security and intelligence services, and protections for minority rights. If the US military leaves can the US State Dept fill the role? While the authors note that the State Dept is interested in doing that and might be able to grab some roles, "U.S. diplomats would be ill-suited to join Kurdish and Iraqi security forces on armed patrols or at checkpoints, where disagreements on operations and tactics are more likely to lead to violence." The authors think the United Nations might be able to play a role in the CBMs but acknowledges that in June of 2009, UNAMI was uanble to please either side. The issue has never been resolved. It's always been considered political dynamite. The Kurds are smart to push it now (a) when they have more power than they sometimes do (the peshmerga have been more important to security gains in Nineveh Province than the Iraqi forces) and (b) while the US government's focus is elsewhere -- the US government and its fan club which tries to pose as an independent press. Animal welfare activists have managed to remove a lion and a bear who found themselves stuck in a zoo in war-torn Iraq. A New Zealand cameraman, Anton Leach, is among the group that helped to get Simba and Lula safely out of the Mosul zoo and the city. In a Facebook post put up yesterday, animal welfare charity FOUR Paws International shared the good news that its members had finally got the animals out. "We did it! Lula and Simba are at a safe place outside of Mosul. Day 174 of The Mosul Slog and that's about all that can be praised. And the refugee crisis is not helping. Since June 2014, more than three million Iraqis have been displaced by conflict. In coordination with the government, WFP provides monthly food assistance to 1.5 million of the most vulnerable displaced people in all 18 governorates through a cash assistance programme and monthly family rations. Every day the Iraq War drags on. Every day, someone else dies. Every day is anniversary of a death. One son notes his father's death today on Twitter. 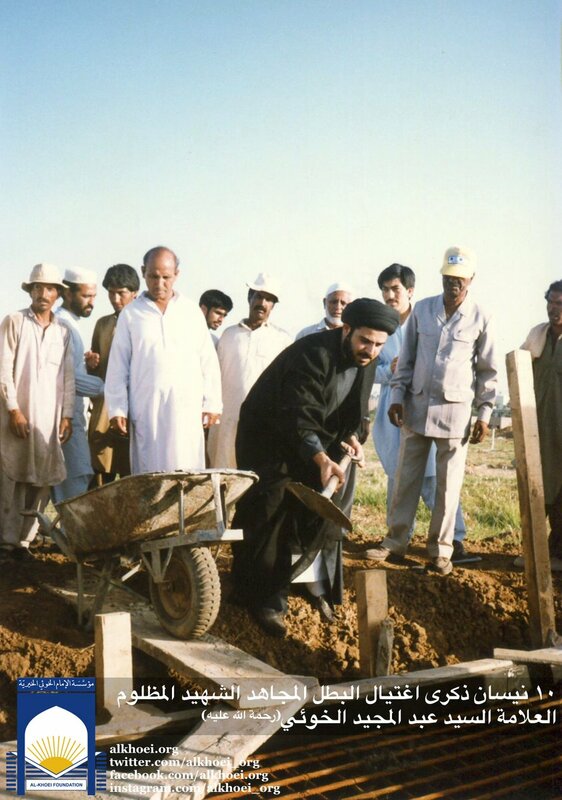 Not many Shia like to remember this as the blood spilt that day in Najaf remains an awkward inconvenience. Killers not Sunnis or Baathists. 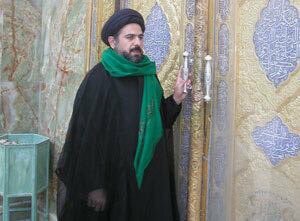 14 years ago today, my father was slaughtered beside the holy shrine of Imam Ali in Najaf by Shia militiamen who now want to reform Iraq. 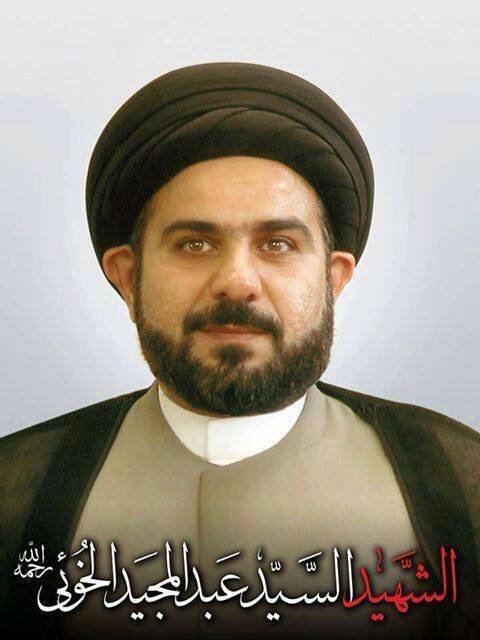 He is a Martyr and a great man that could have done so many things to Iraqi youths. The legacy of the Al-Khoei family will continue to live. 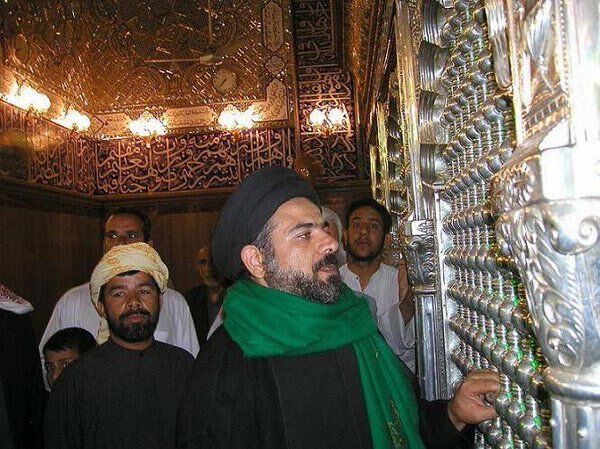 Today marks the anniversary of the martyrdom of Sayed Abdul Majid al-Khoei in #Najaf I still remember 10th April 2003 like it was yesterday. 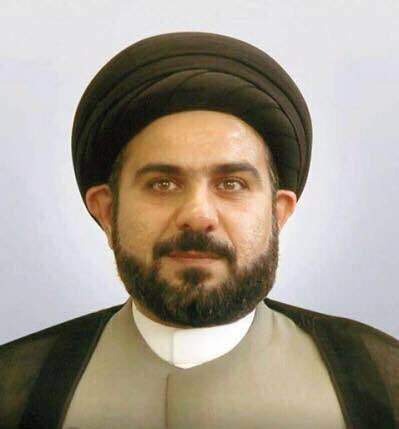 I am truly sorry for your loss @Hayder_alKhoei, Iraq needs people like him today. I hope one day you have a role to play in reform. #العراق | 10/4 ذكرى أغتيال السيد عبد المجيد الخوئي ابن زعيم الحوزة العلمية السيد ابو القاسم الخوئي بعد عودته من المنفى إلى #النجف. May Allah grant him a high maqam in Jannah with Ahlul Bayt. Sincere condolences from a Sunni brother. May Allah grant us unity. Ameen. Let's move over to Syria. Just to clarify, I think this is right. Lots of reasons for Syrians to oppose Assad. Bad drought compounded them. First, applause for Matt Stoller for refusing to pound the war drums. He's been vocal on his Twitter and deserves praise. That said, "Lots of reasons for Syrians to oppose Assad"? You're oversimplifying based upon western media. Yes, some Syrians are opposed to Bashar al-Assad. But, also true, some Syrians support Bashar al-Assad. The War Hags like Christiane Amanpour have 'reported' on Syria for years now but failed to note that reality. Matt Stoller may have rushed to reply to a Tweet, or he may not be aware of that reality. Regardless, there is great support for Bashar al-Assad among some Syrians (probably at least half the country's population). Let's note two members of Congress. The Syrian people have suffered for too long. Regime change trumpeted by the WH has devastating unintended consequences. Tulsi's being insulted by Neera Tandem. Which shocked me because I'd not seen Neera on TV before and didn't realize I knew her. She's rude and she's arrogant and throws fits. And I'm referring to at salons. That's how I know her. Neera is an ugly woman -- who speaks like an airhead. Her hair? There is nothing anyone can do with it but she will scream and shriek and play the diva -- the whole time those jowls will waddle. For someone so vain and obsessed with her appearance, you'd think she would have had those pockets of fat below the corners of her mouth removed. Neera was on TV trashing Tulsi and all I could remember was (a) how hateful I've seen her be and (b) how she smells. Neera wants war on Syria because a higher power made her smelly and unattractive (similar to John McCain's reasons, in fact). She's an idiot who should stick to writing because that Minnie Mouse on helium voice is laughable -- especially when she's screaming vulgar curse words at some hair dresser. Okay, let's go to the Senate, here's Senator Rand Paul. Betrayal is a painful experience: it is also a useful one. Physical pain is the body telling us that there’s something in the environment that must be avoided: psychic pain plays the same instructive role. As Trump’s supporters process what is undoubtedly a painful experience for them, they will realize how and why it happened – and with a little help from Antiwar.com, the best of them will come to understand how to ensure that it doesn’t happen again. The post-Trump political landscape is far better for anti-interventionists than it was before the orange-haired real estate mogul came on the scene: there now exists a considerable faction within the GOP and its periphery that not only supports an anti-interventionist foreign policy but is also in open rebellion against the policies of the President they helped elect. They are sorely disappointed, but they are also angry – and energized. Because anger, after all – anger at injustice – is the primary motivating factor in politics, and never more so than at this moment in our history. I think that's a wise response and it's certainly wasn't offered by any Barack Obama voter -- in fact, The Cult of St. Barack would have you believe that The Big O was a peacenik. Good for Justin. He's a grown up. He's mature enough to vote for someone but still call them out when they are wrong.